The Greater Westside Board of Trade’s Facebook Group is here to help build an engaged community of members with Business in Mind. Search Facebook: Greater Westside Board of Trade – Members Only and request access. You can engage with your fellow members. Please provide valuable content and conversation, which of course you will! Facebook Groups are designed for commenting, likes, and overall engagement. You are a leader of your industry and this is a place for you to explain, motivate, inspire, and teach the content that you love. It’s where you can help other members and can have a real influence in people’s lives. Poll other members.One of the amazing and ultra-valuable features of Facebook Groups is that you can poll other members. Ask them absolutely anything and other members will respond. Use polls to learn about what your community needs or wants from you, find out what are they struggling with (so you can better tailor your offerings to be exactly what they need). Get opinions or validate your business ideas — for free. Stay top of mind. 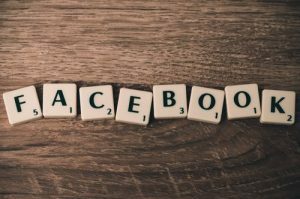 Have you noticed that not all your Facebook posts are seen by all your friends and posts on your business page do not go out to all your followers? It’s so frustrating. The exciting thing with a Group is that anything and everything you post in the Group WILL appear in all member’s feeds. The more you post, the more you show up in your ideal clients’ feeds. Simple! Build Trust. This Facebook Group is a collection of private conversations and no one, other than Group members, can see the discussion. There’s conversation that happens here that wouldn’t happen if members knew that the whole world could possibly be watching. It’s an opportunity for you to nurture other members so they really begin to know, like, and trust you. Find new clients. Where else in the world can you gather and interact with potential clients at any time of the day for free? Of course, you must give them your time and attention and offer them valuable content, however, being able to watch and learn from them is invaluable. It’s any business owner’s dream! Announce your offerings.Have you ever tried to announce a class or a new offering on a Facebook page? Not much reaction, right? Well, because this Facebook Group is full of like minded members, when you announce something new, you are more likely to get a purchase or a response.